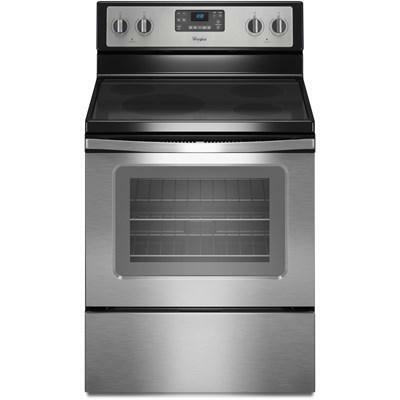 Whirlpool® 30" slide-in electric range featuring Frozen Bake™ technology, high-speed coil elements and an Upswept SpillGuard™ cooktop.- To see a model with better options") click here. 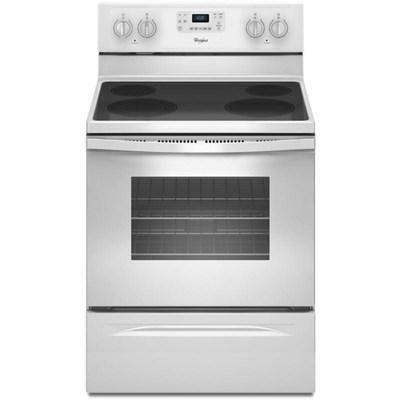 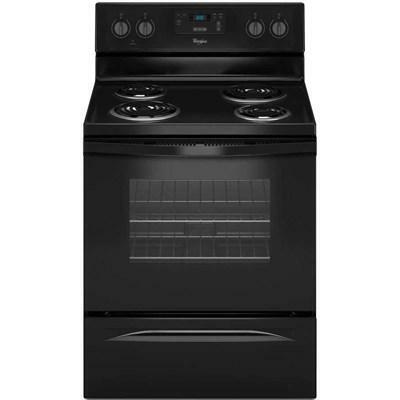 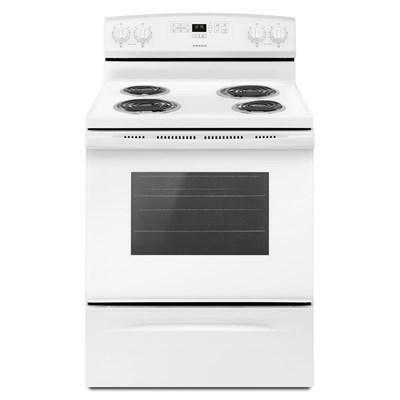 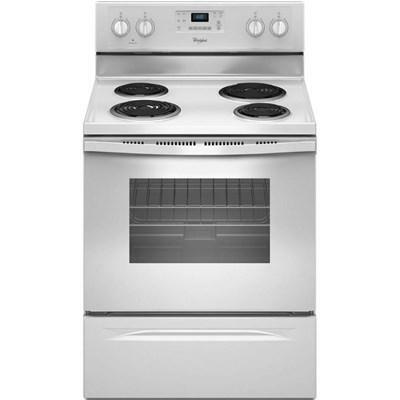 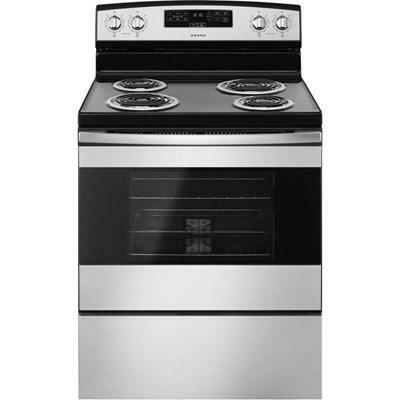 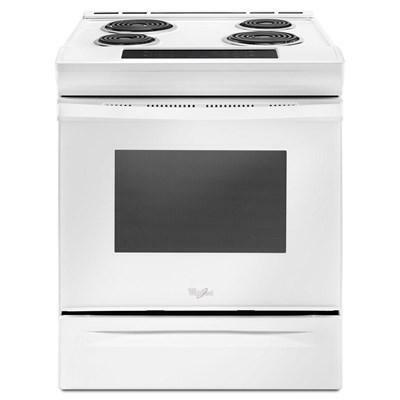 Whirlpool 30-inch wide freestanding electric range with 4 elements. 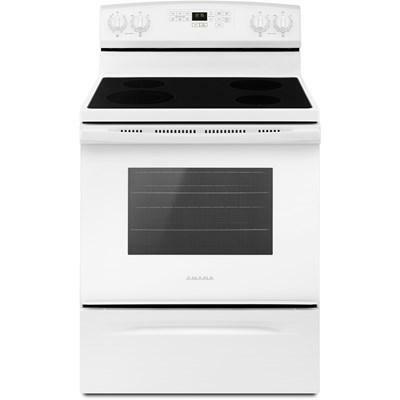 This range features a FlexHeat™ element, an EasyView™ large oven window and a large 4.8 cu.ft. 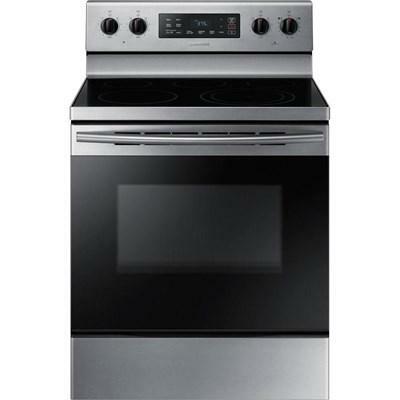 oven capacity.- To see a model with better options") click here.